Another amazing hot tub delivery in Spokane Valley. 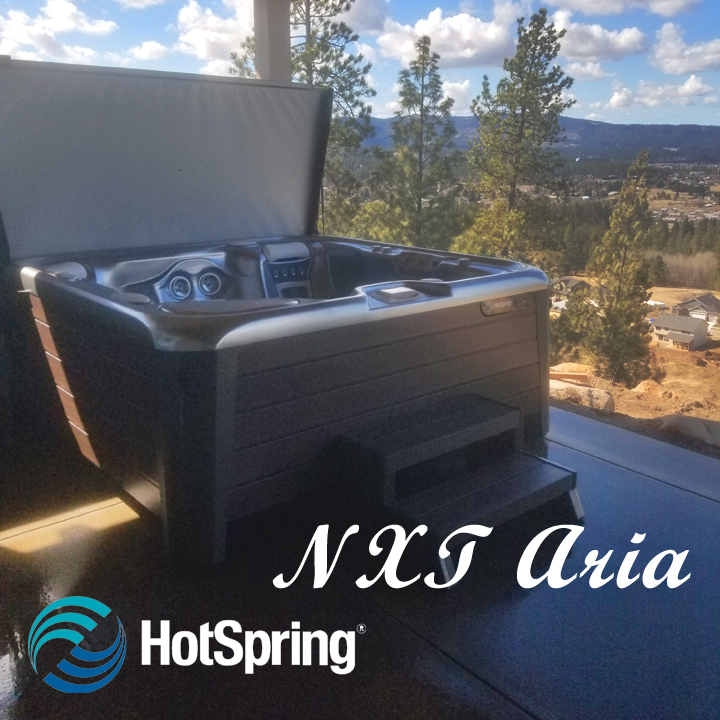 This latest delivery is a NXT Aria Hot Spring Hot Tub apart of the Highlife Collection with contemporary styling. The NXT Aria includes multi-color LED lighting that transitions through a series of bright and vivid colors sequence while enjoying the BellaFontana fountain and much more. It also includes the exclusive wireless remote control. This hot tub is included in the special Limited-Time Offer that is happening now when you purchase a new Highlife NXT, Highlife or Limelight Collection hot tub during the Hot Tub Financing Event to enjoy special financing. It’s never been easier to enjoy the absolute best hot tub! Don’t miss out, come into Pool World before this offer is over, March 26th.